I started working on my newest painting yesterday and am this far along on it. 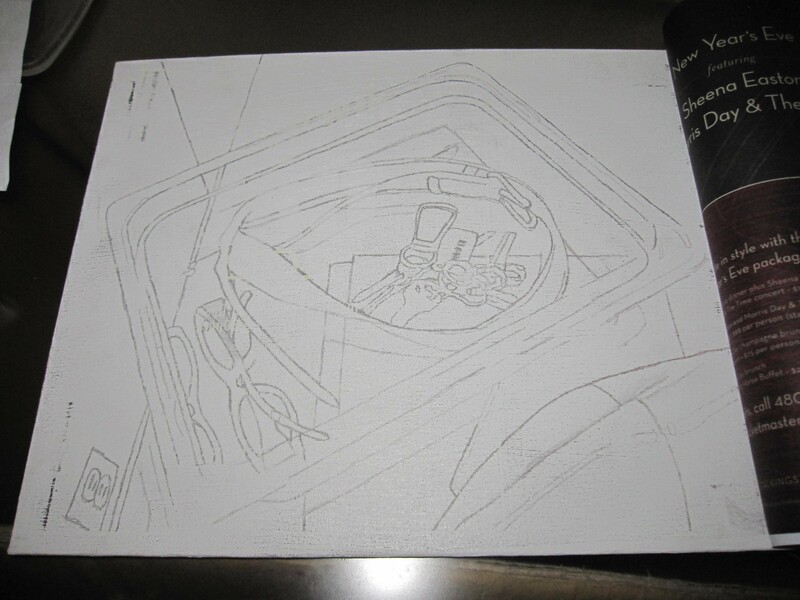 I’ve transferred the image from the photocopy onto the canvas. A few tweaks here and there, and then I will start blocking in bits and pieces with color. I’m thinking I’ll color it in with solid colors and overlay them with lines. I’m really not sure what the process will be exactly, I’ll figure it out as I go. I don’t have much time on this one though, the deadline is in less than two weeks! This entry was posted in On my Easal and tagged artist, line painting, one line art, painting, security, single line art, work in progress, Xandriss by Xandriss, Single Line Artist. Bookmark the permalink.